I contacted BakerRoss by email as my sister in Law at Parenthoodhighs andLows has previously worked with them in the past and I thought I would see what they had to offer to a small business like myself. I was pleased with the results I got after I approached them. The prices of all products are very reasonable and I would recommend friends and family member with kids to try out some of their products as they have wide variety to offer and lots of different things to make. 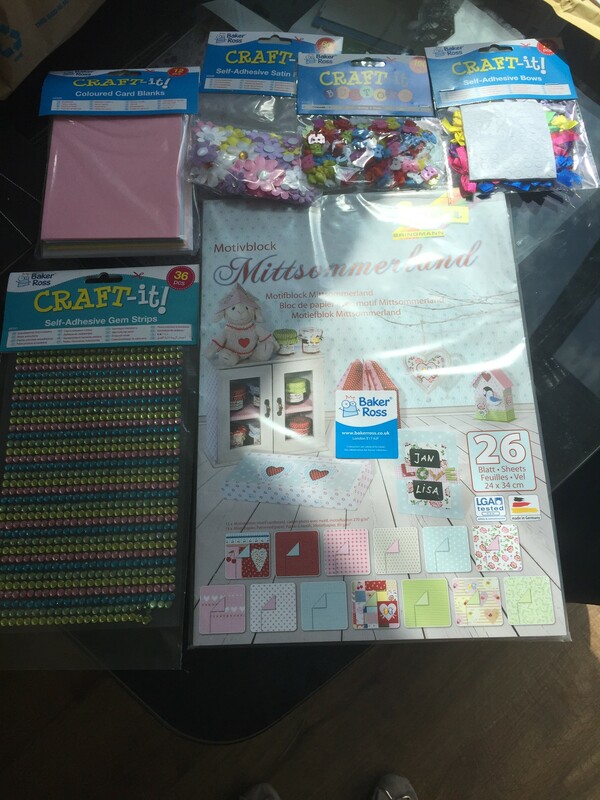 The backing paper has to be my favourite thing that I was sent to review , it is double sided so you can stick it down whichever way you want and mix and match it which is great when trying to create a unique card for a special occasion. *I was sent these product free from the company for my honest and unbiased opinions.